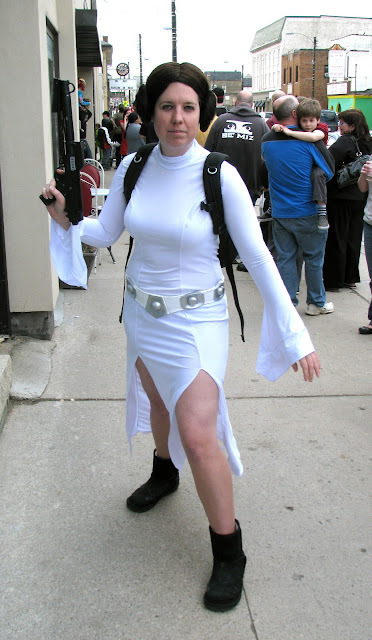 Forest City Fashionista: Free Comic Book Day! Saturday, May 7th saw more people in the downtown core than usual, one main reason being that it was Free Comic Book Day, which takes place on the first Saturday in May, and is the one day when all participating comic book stores around the world give free comics to people who come in their store. 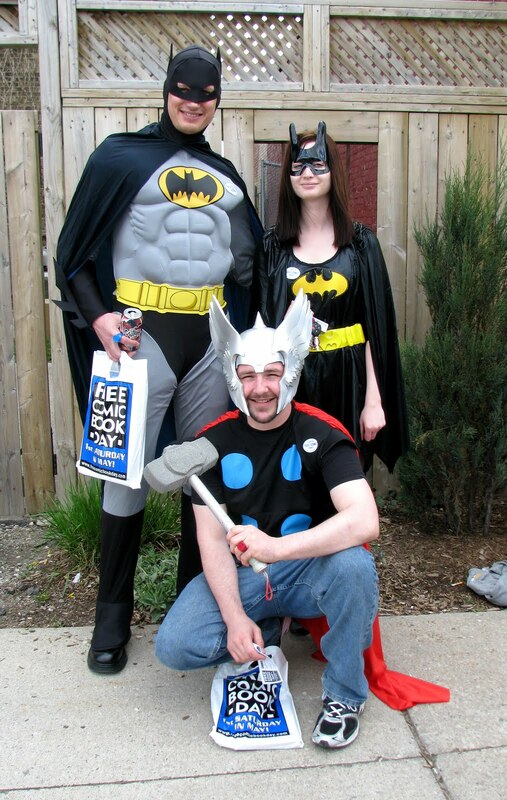 Local comic stores such as Heroes and The Comic Book Collector had day-long lineups to get into their store, and there were a few people who got in the spirit of the day by dressing up as their favourite superhero or Sci-fi fantasy character. Perhaps city planners should take note--how to get more people downtown? Give em free comics! The girls in the last photo are Delirium and Death from the Sandman comics! Yay! I love that people were out celebrating in full force.